Recent Section 2(e)(4) decisions by the Board have looked for "contextual clues" that point to the surname significance of the mark at issue: for example, ALDECOA, a "Premium Family Coffee." Here, there were no such clues because the mark had not yet been put into use. 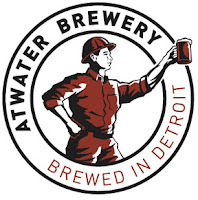 Applicant Detroit Rivertown Brewing sought to register the mark ATWATER SPIRITS for distilled spirits [SPIRITS disclaimed], but the Board found the mark to be primarily merely a surname and therefore barred from registration under Section 2(e)(4). In re Detroit Rivertown Brewing Company, LLC, Serial No. 86669897 (March 2, 2017) [not precedential]. Examining Attorney Zachary Bello submitted the results of a whitepages.com search showing "5,009 profiles for 'ATWATER,' and 734 possible profiles," two third-party registrations issued under Section 2(f) for marks containing the word ATWATER, and several media references to Lee Atwater, an American political consultant and strategist for Ronald Reagan and George W. Bush, described as a "brutal campaign consultant" and famous for the "Willie Horton" political advertisement that helped elect George H. W. Bush in 1988. Applicant pooh-poohed the USPTO's evidence, arguing that the listings possibly included duplicate profiles, individuals who are deceased, and even Canadians and other foreigners. The Board was unmoved. Even deceased individuals point to the surname significance of the term, and the vast majority of the listings referred to Americans, not foreigners. In any case, even if ATWATER is a relatively rare surname, that does not preclude a finding that the term is primarily merely a surname if its primary significance is that of a surname. The Board concluded that the Office's evidence demonstrated that the public has been exposed to ATWATER as a surname and would perceive ATWATER as a surname. There was no evidence indicating that anyone associated with applicant has the surname ATWATER. Applicant contended that "Atwater" is the name of a town in California, but there was no evidence that this town is well known to the purchasing public. Nor was there evidence supporting applicant's contention that consumers would perceive the term as "at the water." In any event, the mere existence of other, non-surname meanings does not prevent a finding that the mark is primarily merely a surname. Here, the evidence demonstrated that that the primary significance of ATWATER is a surname. Finally, applicant argued that ATWATER does not have the structure and pronunciation of a surname, but the Board noted that many surnames end with the suffix "ter," such as Baxter, Foster, Hunter, Webster, Schwimmer, etc. [Wait! strike that last one - ed.]. Since applicant's mark is not in use for the identified goods, there were no "contextual clues" that might identify the term as a surname. Considering all the evidence, the Board found that the primary significance of ATWATER to be that of a surname, and so it affirmed the refusal. TTABlog comment: I wonder what percentage of Americans know who Lee Atwater was? I'll bet that a poll would show fewer than 10%. Dude was just trying to be sure nobody confused them with Flint Water. Atwater Kent was famous brand name for radios in the old days. The inventor was A. Atwater Kent. Lee Atwater now with Andrew Breitbart and Father Coughlin in the Goebbels Wing of Hell. Pro Tip: Do not raise the issue that the mark may be geographically deceptive, which would result in a complete bar to registration. This is particularly true when the applicant could later refile once the mark in being used in interstate commerce and could try to argue acquired distinctiveness based on its long-standing use of "Atwater" in connection with beer. Yowzers! The Willie Horton advertisement was used by George H.W. Bush (i.e., "Bush 41") against Michael Dukakis. Richard Nixon is innocent on this one.